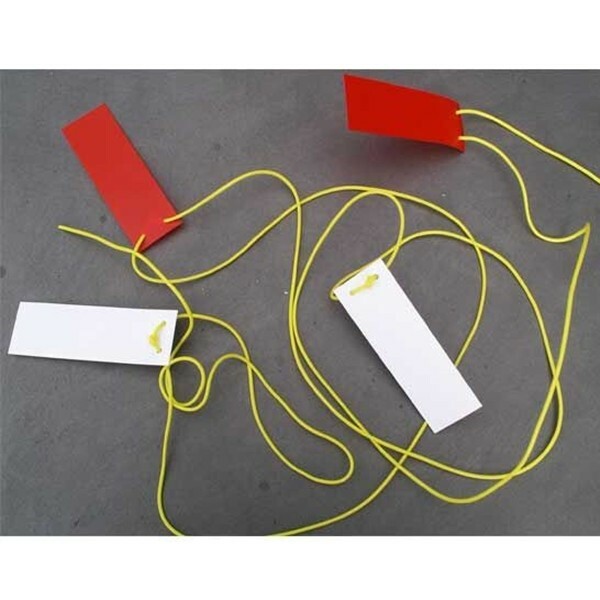 Caution marker provides a highly visible line marker, which can be used to mark out pedestrian and vehicle boundaries. 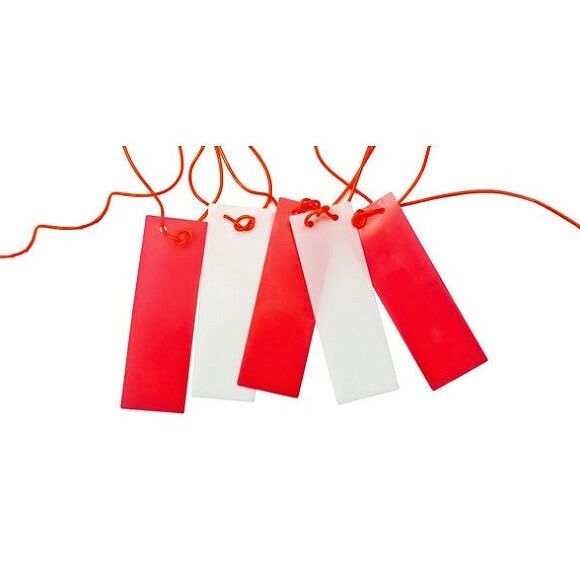 Featuring large red / white tags attached to a red or orange nylon line. 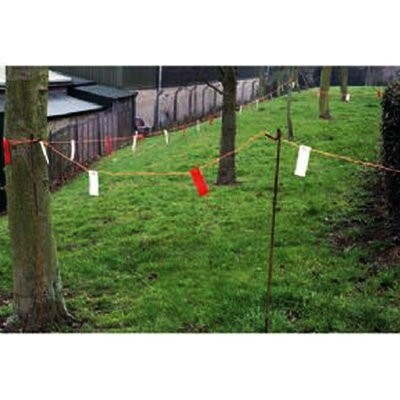 Can be used day or night, indoors or outdoors. 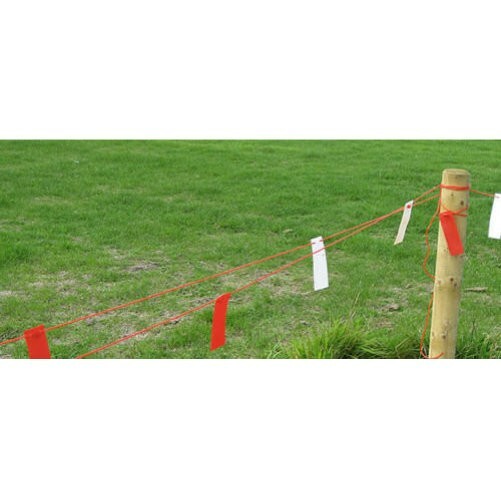 One roll of caution marker line and a few Fencing Pins (sold separately) and you can have a temporary safety fence erected in minutes.